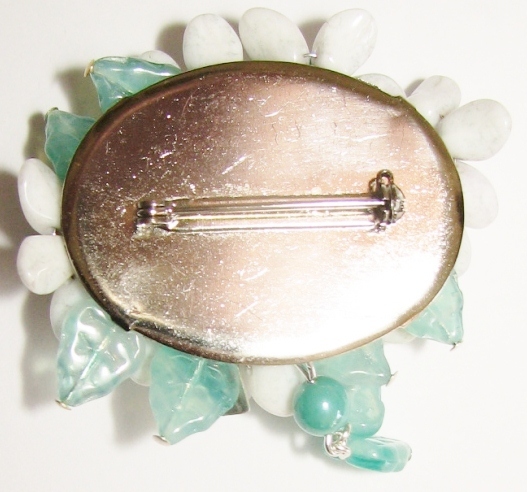 Julia Bristow vintage-style Bouquet Brooch. 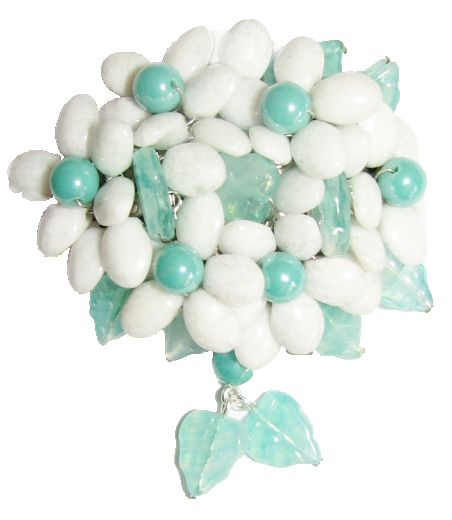 Turquoise/aqua color glass beads and leaves, white glass petals each individually hand-wired onto silver metal pin back (no glue) with engraved sterling tag signed Julia Bristow wired onto brooch. Measures 2 inches wide by 2-1/4 inches long (including leaves drop).